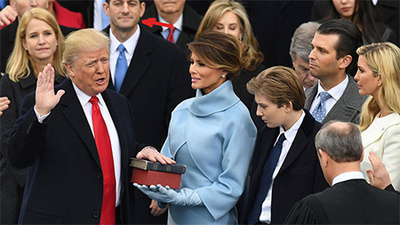 Did you watch the inauguration? There were no cats there! There were a loooooooooooooot of hyenas. Many hyenas and one weasel. Weasels, members of this genus are small, active predators, with long and slender bodies and short legs. In Greek tradition, a weasel near one's house is a sign of bad luck, even evil, "especially if there is in the household a girl about to be married", since the animal (based on its Greek etymology) was thought to be an unhappy bride who was transformed into a weasel and consequently delights in destroying wedding dresses. In Japan, weasels were seen as yōkai from time immemorial, and they cause various strange occurrences. According to the encyclopaedia Wakan Sansai Zue from the Edo period, a nate of weasels would cause conflagrations, and the cry of a weasel was considered a harbinger of misfortune. The name of this weasel? 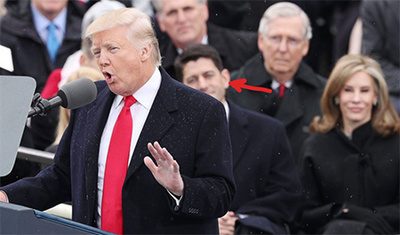 Paul Ryan. The man who paved the road to Donald, the evil weasel! In the famous novel by Giuseppe di Lampedusa "Il Gattopardo" the Prince of Salina tells his nephew Tancredi that when the purpose of life will have become that of business and making money, then we will see the lions and the leopard consorting with the hyenas and the rats. That was a great prediction which came about in the 20th century and we see it now when the hyenas and the weasels have proposed the de-funding of the humanities and the arts.